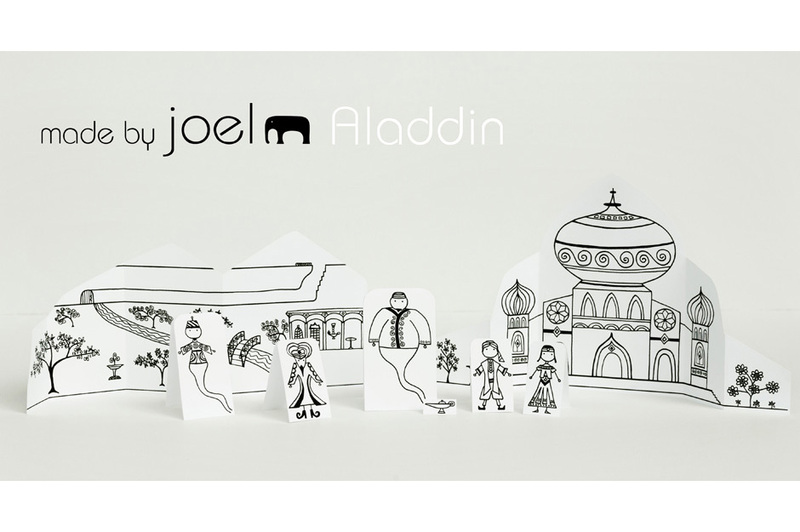 Made by Joel » Aladdin Paper City Craft Project! 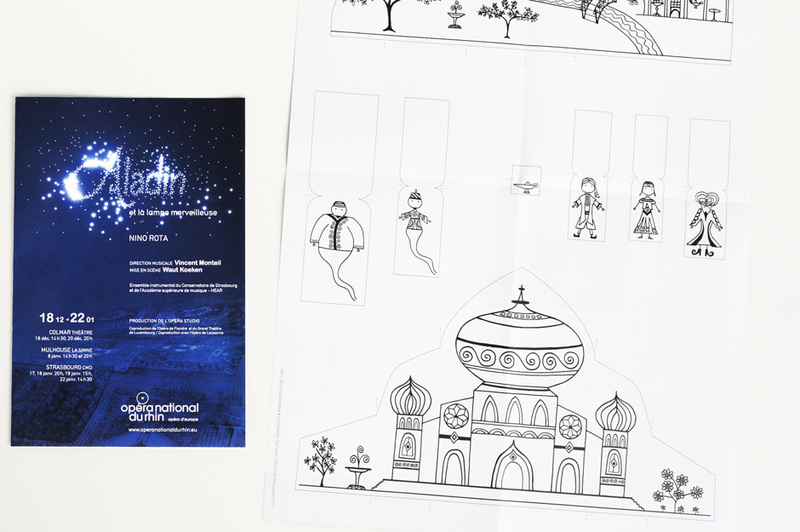 I recently got the fun job of designing a Paper City toy set for the Opéra national du Rhin in Strasbourg. They used it in the programs for their Aladdin production so kids could take it home and cut it out. 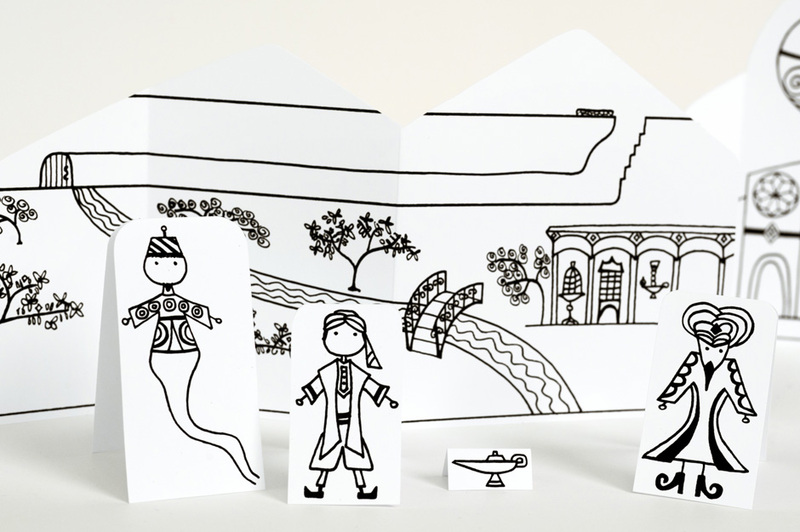 This set is based on the original (pre-Disney) story in the Tales from the Arabian Nights, so there’s a genie of the lamp and a genie of the ring. 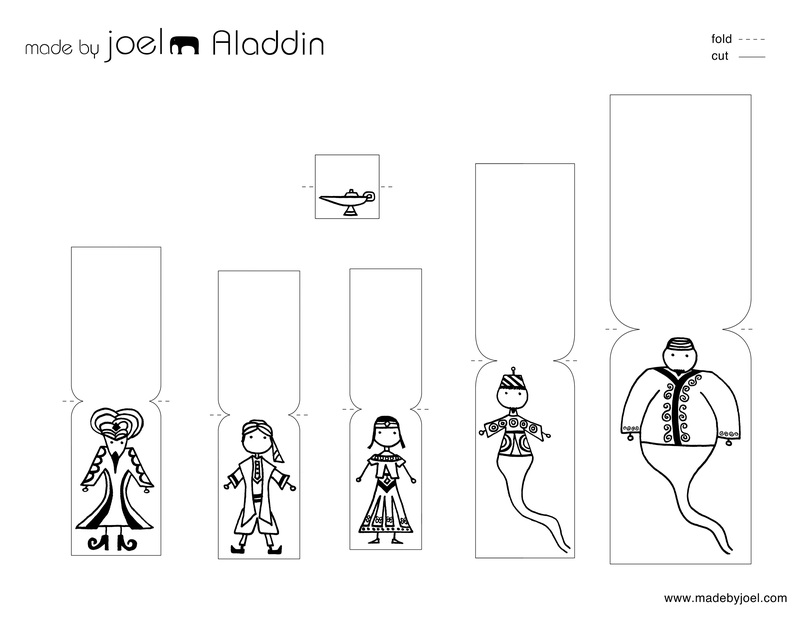 Also included is the Magician, the princess, and Aladdin! Below is an image of the Opéra national du Rhin. And also an image of the program from the show. We can't see a link to download the Aladdin set. It is still available? My daughter is dying to make it. Thanks! Hi Kristin. 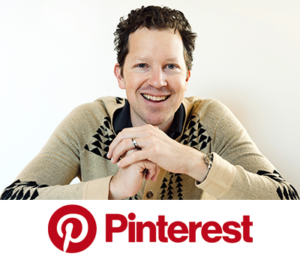 Yes, you just need to click each of the template images in this post! That will load up the PDFs so you can print them. 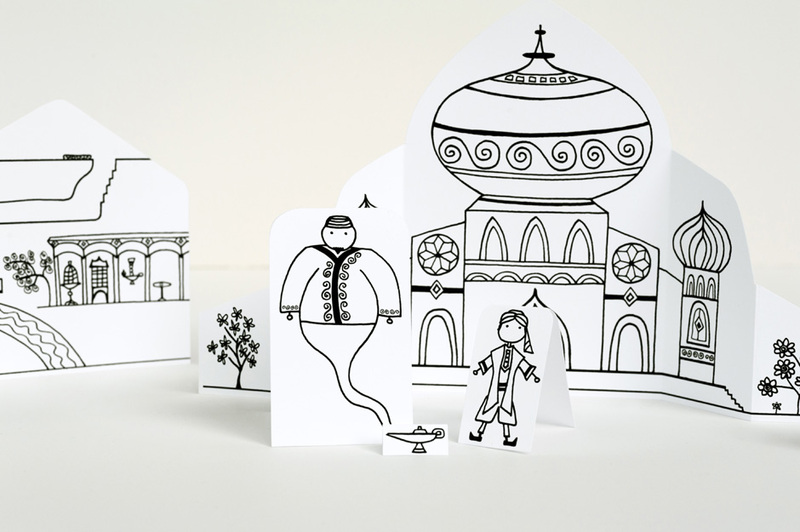 I do need to add the Aladdin set to the Main Paper City page, which is what you're probably talking about. I'll do that now! 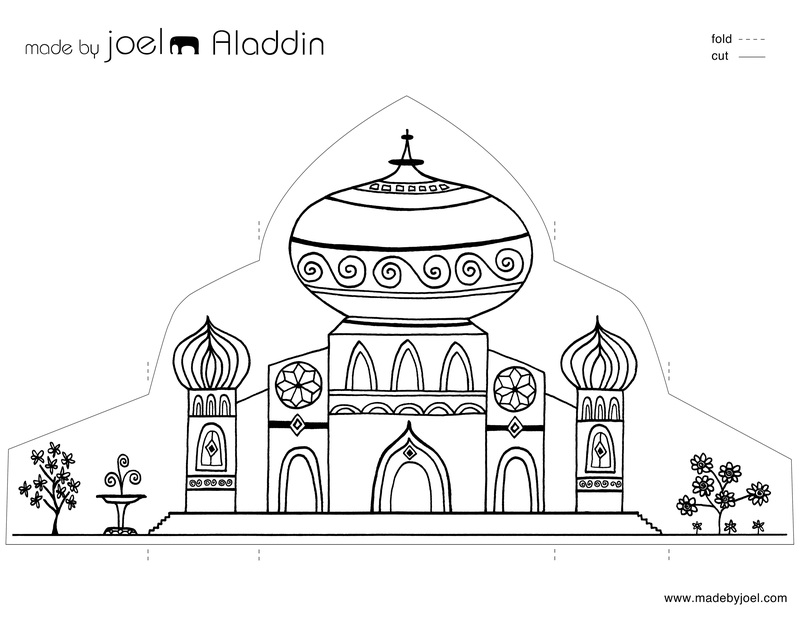 But that link will just take you to this post, so this is where all the Aladdin action is! Have fun! Thanks! Glad you found my site! Hope you find some fun stuff to make! 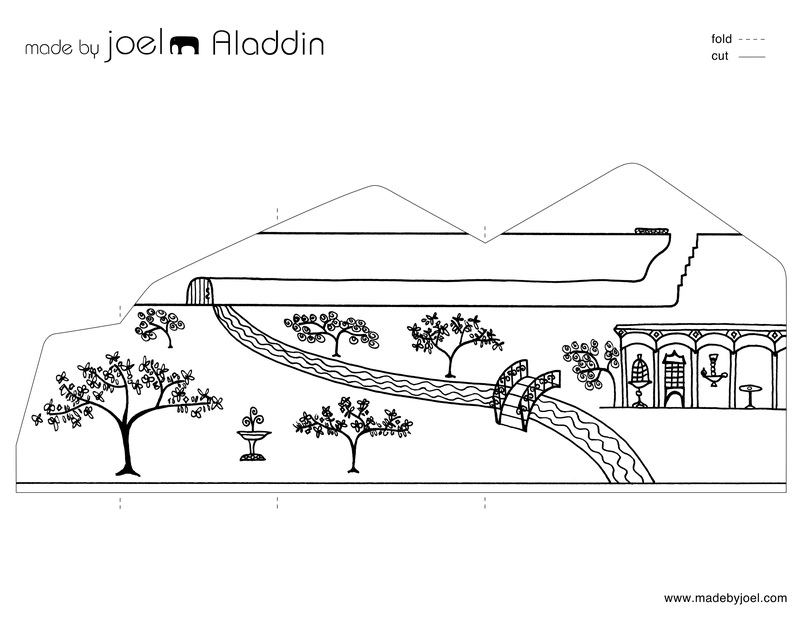 In the Aladin city i can't find the template for the "castle". Is it available somewhere ? And thank you so much for your work, it's great !!! Cool, glad you got it!! Hola, está genial por tus ideas. Te felicito. ¿Podrías seguir realizando cuentos infantiles, tanto de princesas como de dinosaurios como de monstruos, ya que ahora siguen siendo los preferidos de los niños? En mi caso, tengo dos nietos, uno de cinco y otra de once y disfrutan mucho con tus trabajos. Gracias por compartirlos con nosotros. Saludos.